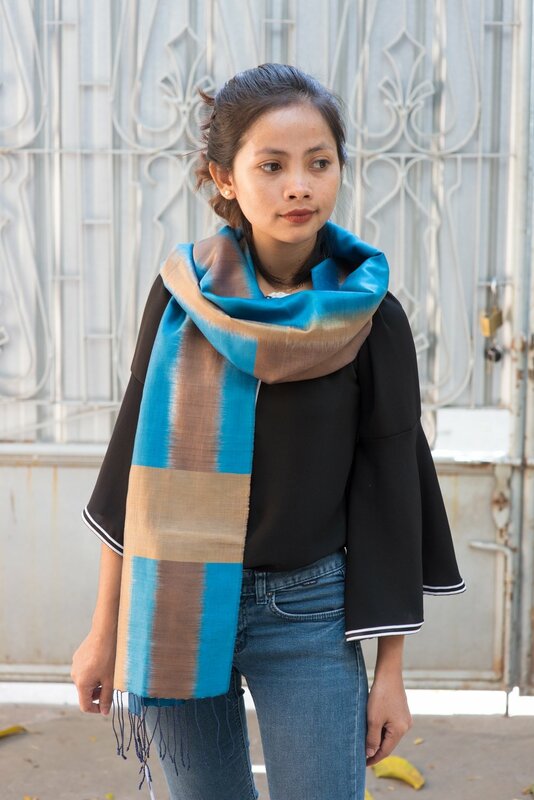 This beautiful Ikat scarf is handwoven by SWDC's weavers. From raw silk to the finish product, this scarf took more than 2 weeks to finish. *100% of proceeds from this purchase go directly back to the Stung Treng Women's Development Center.